Are you looking for an electrifying and tangy treat? 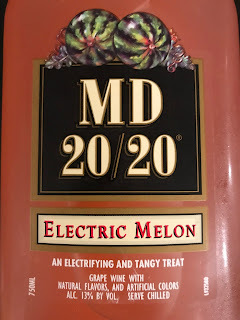 Look no further than MD 20/20 Electric Melon! 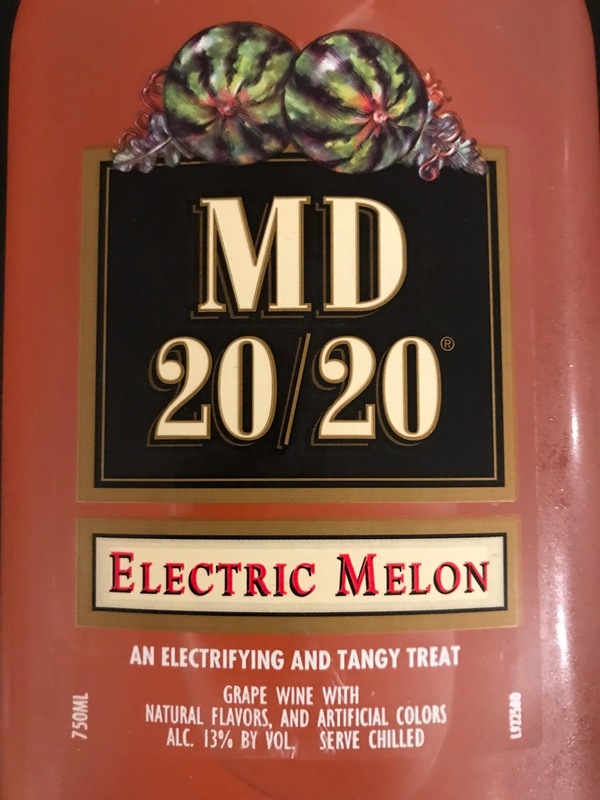 MD 20/20 Electric Melon has always been the bum wine that got away. It was during my trip to Las Vegas in 2015 after doing some searching, it was not until the morning that we were leaving that I finally spotted some MD 20/20 in one of the liquor stores. Due to time constraints I did not pick up a bottle since I figured I would come across it again. Fast forward two years later and during my trip to Ocean City, Maryland I spotted it on the shelf once again and I knew I would not make the same mistake this time around. 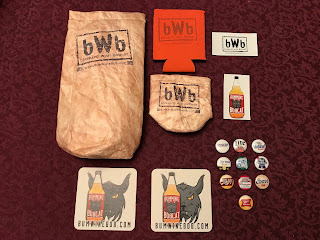 I was saving this bum wine for a taste test on this years Bumming with Bobcat Halloween podcast, but things did not go as planned and we had to wait a little longer to twist off that cap. The stars aligned this past week when I was contacted by Aaron from Uncle (the podcast) to be a guest on their show to do a special bum wine review. I spoke with Aaron beforehand and told him the bum wines I had on hand so he could pick up a bottle for them to enjoy as well. 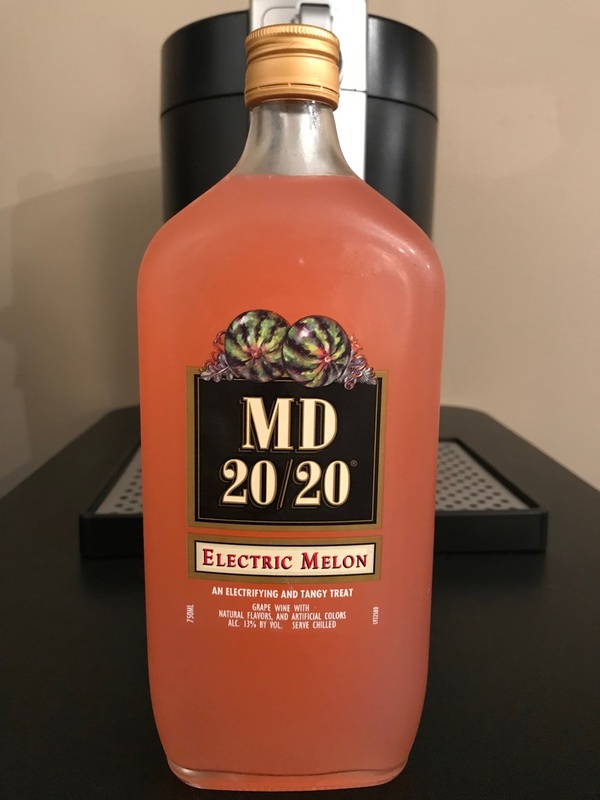 Luckily for us he was able to grab a bottle of MD 20/20 Electric Melon to crack open for a live taste test on their podcast! Listen here or click the play button below! While I don't know how "electric" it might be, it does look and taste similar to a pink lemonade with a shot of watermelon. It goes down smooth and doesn't have a bad or lingering aftertaste. During my time on Uncle (the podcast) I drank about half a bottle. Like most other flavors of MD 20/20 it comes in at 13% and is best served chilled. 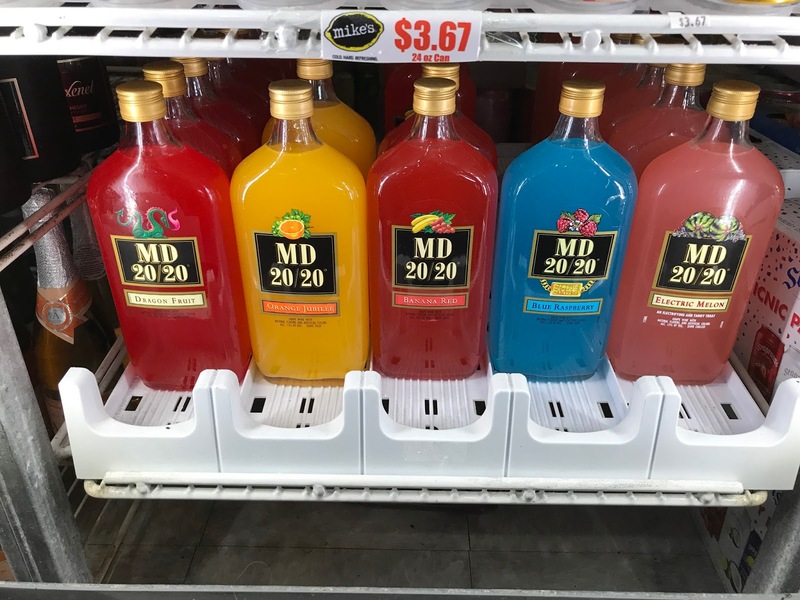 I hope to find it in my travels once again and I would rank it high on the MD 20/20 flavor list. If you haven't has a chance to try MD 20/20 Electric Melon yourself, be sure to pick up a bottle the next time you see it in the liquor store and tell the clerk it's the bumwinebob.com bum wine of the week!